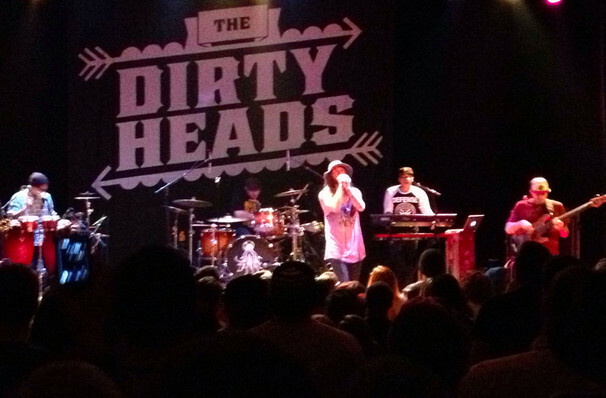 Huntington Beach five-piece The Dirty Heads have honed their unconventional alt-rock stylings over a career that spans 20 years. Blending multiple genres together under one banner, Californian reggae fusion outfit Dirty Heads are back with a brand new album, their fifth offering for five years running. Traditionally reggae is one of the more laid back of genres, yet genrebenders Dirty Heads infuse it with the intensity of rock, hip hop and ska carving a niche for themselves with raucous, high-energy live shows. Get your most comfortable skanking shoes on and get ready to mosh! Seen Dirty Heads? Loved it? Hated it? Sound good to you? 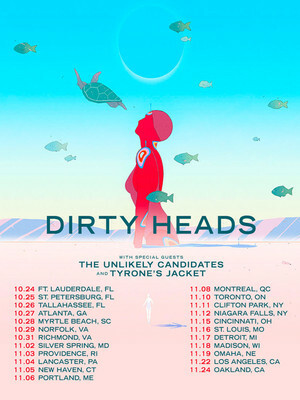 Share this page on social media and let your friends know about Dirty Heads at Red Hat Amphitheater. Please note: The term Red Hat Amphitheater and/or Dirty Heads as well as all associated graphics, logos, and/or other trademarks, tradenames or copyrights are the property of the Red Hat Amphitheater and/or Dirty Heads and are used herein for factual descriptive purposes only. We are in no way associated with or authorized by the Red Hat Amphitheater and/or Dirty Heads and neither that entity nor any of its affiliates have licensed or endorsed us to sell tickets, goods and or services in conjunction with their events.